Size: 70mm. PVC Phthalate Free. En71 Certified. One Colour Screen Print. Can be Made to Any Size or Design. Minimum Quantity: 1500. Can Only be Opened When You Get Ball to Door. Minimum Quantity: 25. Supplied Flat Packed, & with Generous Print Areas, Great Mail Out Product. Minimum Quantity: 500. With the right promotional marketing products, you will not only make your customers feel good, but also be able to reach a huge number of potential clients. 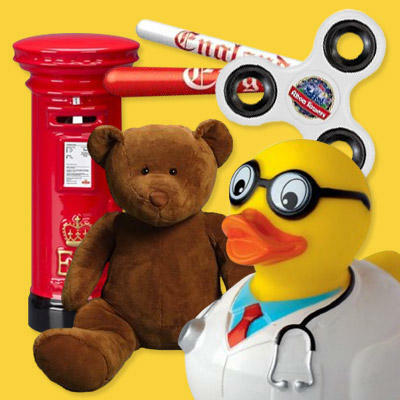 Brandedcorporategifts supplies excellent quality promotional products and gifts to organisations including large and small business. The large array of products under this category include bouncing putty pot, soft toys, rubber duck, 3d butterfly painting toy, coloring pencil set, pocket microscope pen, adhesive bicycle spoke reflector, brain teaser set and many more. Choose the one that best suits your requirement and fit in budget. We can even customise your products with your company name or logo to better promote your business.